The resources below provide information about Bay Area bird sightings and events such as the annual Christmas Bird Count. Also included are reports on bird populations and conservation initiatives related to Golden Gate Audubon projects. Many local birders share their sightings with each other through birding listservs. If you live in the area, it’s a great way to learn about the latest sightings of both rare and common birds. If you’re planning a visit to the Bay Area, they’re a good way to figure out which birding spots to visit and what you may see there. 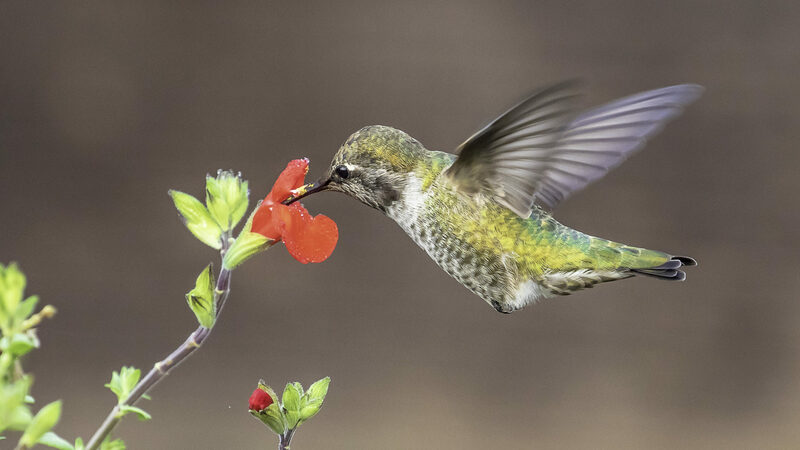 Two discussion groups that cover the birds in our area are both Yahoo Groups: SF Birds and East Bay Birding, and there are also separate groups for the North Bay, the Peninsula, etc. Our website has a list of many local birding hotspots, plus links to descriptions of many of these sites and tips for visiting them from our members. A project of the Cornell Lab of Ornithology and National Audubon Society, eBird is an interactive online database of bird sightings – a real-time online checklist program. You can search for sightings by location or by species, and you can also input your own observations and photos. eBird then shares your data with a global community of educators, land managers, ornithologists, and conservation biologists. In time these data will become the foundation for a better understanding of bird distribution across the western hemisphere and beyond. The annual counts in Oakland and San Francisco are organized by Golden Gate Audubon each December. Birders of all levels are invited to participate. You can get more information here. Golden Gate Audubon, in concert with other Bay Area Audubon chapters, helped establish Audubon Canyon Ranch. ACR’s thousand-acre Bolinas Lagoon Preserve supports a major heronry of Great Blue Herons and Great and Snowy Egrets often numbering more than 100 pairs. Every spring, we provide volunteers to greet visitors who come to see the nesting herons and egrets. For more information on visiting or volunteering, go to http://www.egret.org. Together with Waterford Press, we published a laminated pocket guide to Birds of Golden Gate Park, which is also a useful guide to backyard birds in San Francisco. Available for $.6.95 from our online store or our Berkeley office. Golden Gate Audubon conducted a census of birdlife in the Eastshore State Park from October 2005 to September 2006, supported by the San Francisco Foundation and the California State Parks Foundation. An illustrated brochure with a map and a comprehensive checklist of the more than 140 species seen at the park is available from Golden Gate Audubon or the East Bay Regional Park District. You can also download the checklist and the shorebird and waterfowl density chart. This brochure, produced in partnership with Citizens for Eastshore State Parks, provides information on birds of the Albany shoreline. It is based on a year-long bird survey conducted by GGAS members. Click here to download a copy or here to read a blog post about the survey. The Birds of Lands End brochure, with text and photos by Alan Hopkins, was created by the Golden Gate Nationals Parks Conservancy and the National Park Service as a resource for birders of all skill levels. The brochure includes a trail map of Lands End and Sutro Heights as well as a list (always growing!) of birds that have been seen along these trails. Please visit www.parksconservancy.org for more information about Lands End and how you can help us continue our restoration efforts—for the enjoyment of all—in this wonderful park site. This paperback book by David Lukas is a great complement to your field guide, providing fascinating descriptions of the behavior and life cycles of our resident birds and migratory visitors. Your field guide may tell you the key ID marks of a Downy’s Woodpecker, but Bay Area Birds will tell you that males and females avoid competing with each other for food by feeding on different substrata of a tree, with females on large branches and trunks and males on smaller branches and tall weeds. Available from our online store or our Berkeley office. These reports summarize data compiled by our volunteers working to support two of our local conservation projects. Arrowhead Marsh at Martin Luther King, Jr. Regional Shoreline Park. The report details the first five years of our bird census at the park’s Arrowhead Marsh and 72 acres of tidal and seasonal wetlands. The marsh and restored wetlands attract thousands of migratory and wintering shorebirds and waterfowl, and are also used by breeding birds. Yosemite Slough Watershed Wildlife Survey. The survey, conducted in 2003–04, identified 118 species of birds, as well as other wildlife, that use Yosemite Creek watershed and Candlestick Point Recreation Area in the Bayview-Hunters Point community. The results showed the importance of restoring and revitalizing this industrial area for both wildlife and the community. East Shore State Park Census Report. GGAS volunteers partnered with volunteers from the San Francisco Bay Bird Observatory to survey bird use of dilapidated piers along San Francisco’s southeastern waterfront in 2007. Read the full report here.